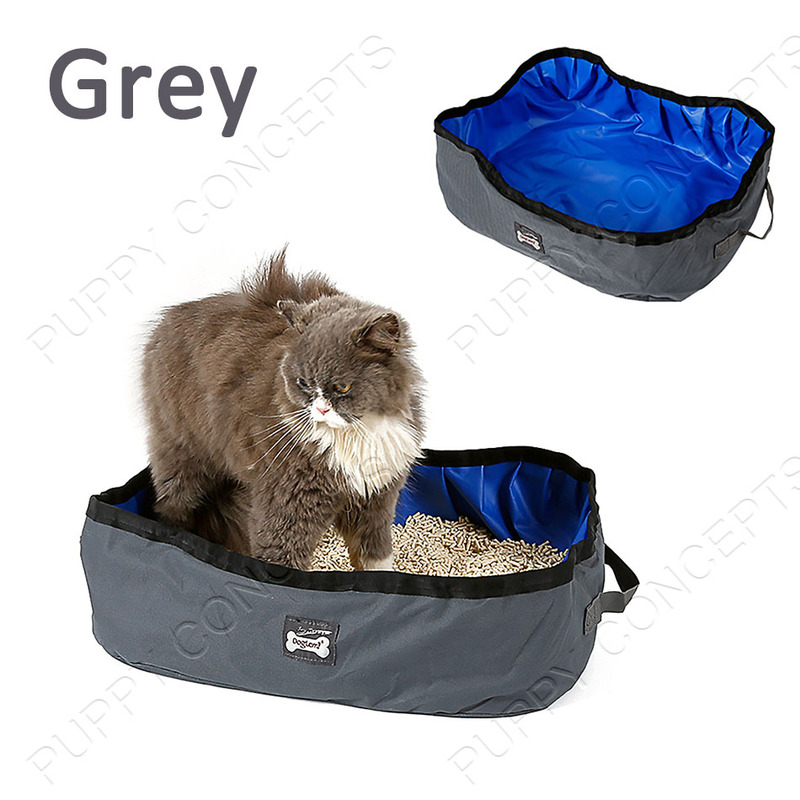 Made from high quality 600D Oxford fabric and PVC lining, this cat litter box is sturdy and durable. 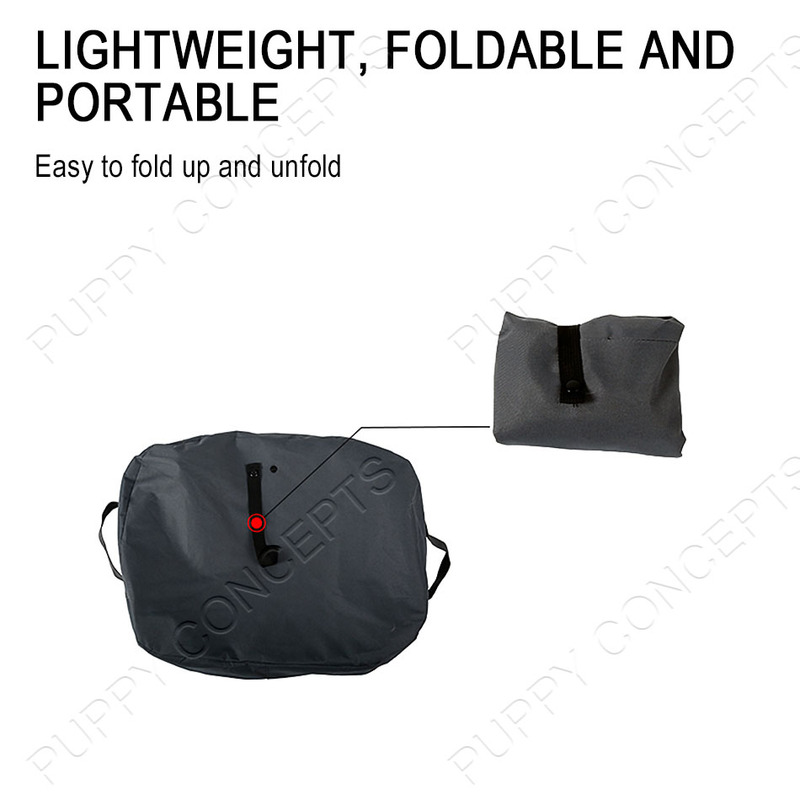 Lightweight and foldable design make it easy to fold up and unfold, easy to carry, perfect for travelling and camping, more convenient than traditional heavy cages. 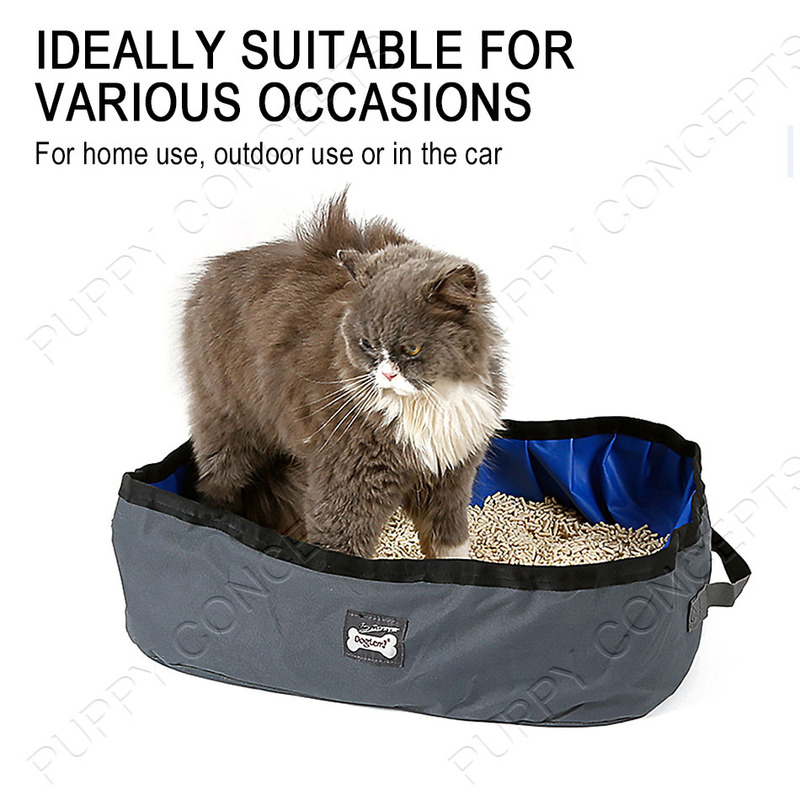 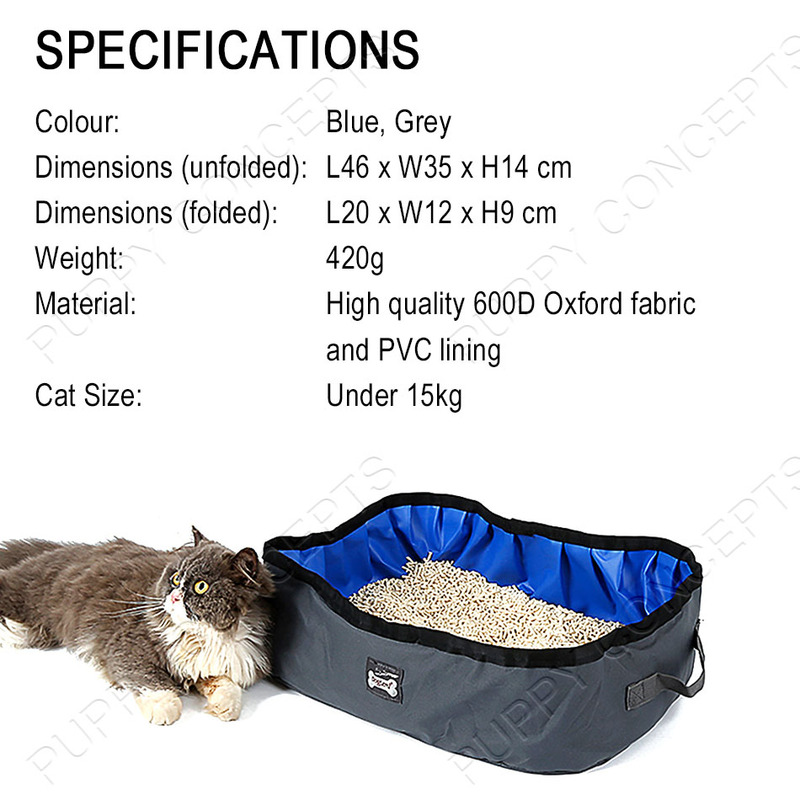 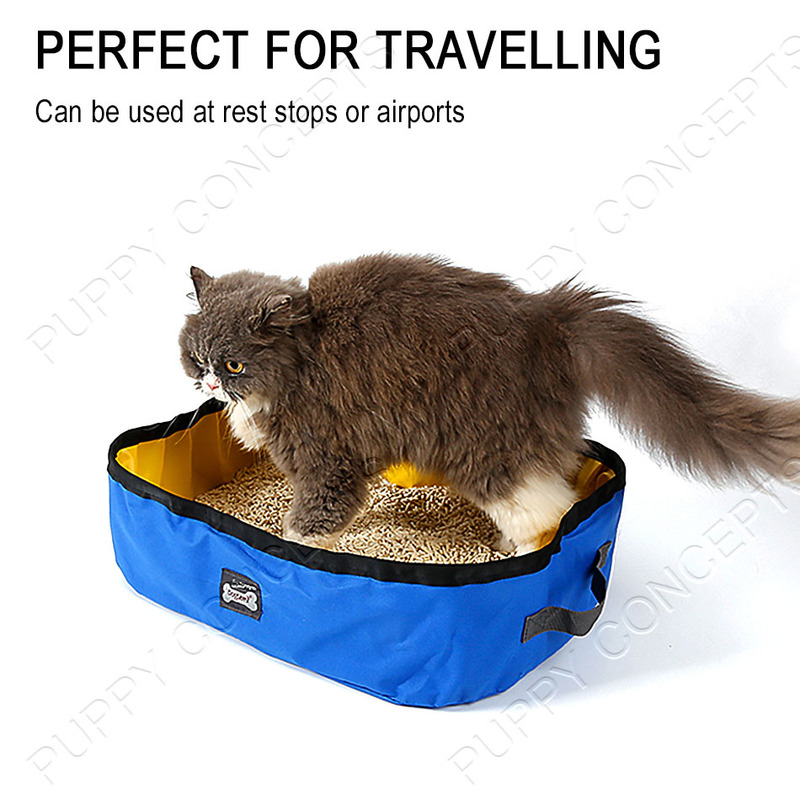 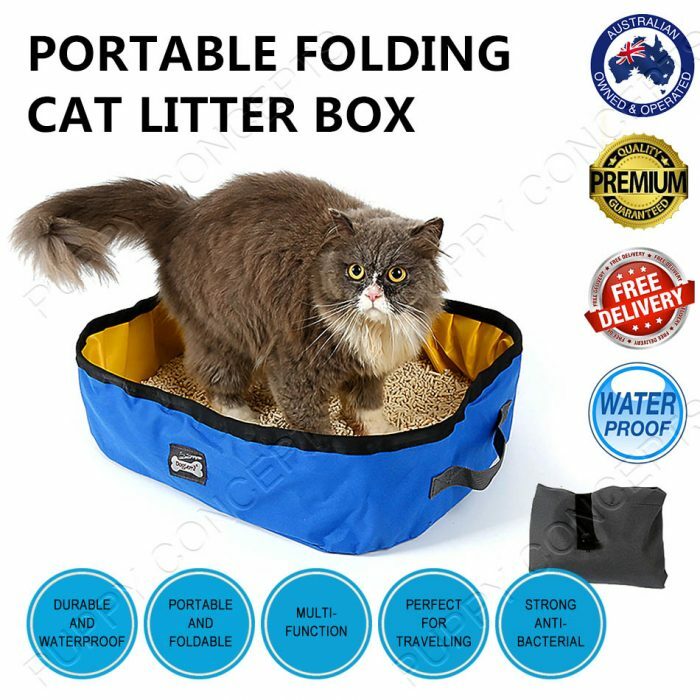 Made from high quality 600D Oxford fabric and PVC lining, with reinforced edge design and well craftmanship, this cat litter box is sturdy and durable. 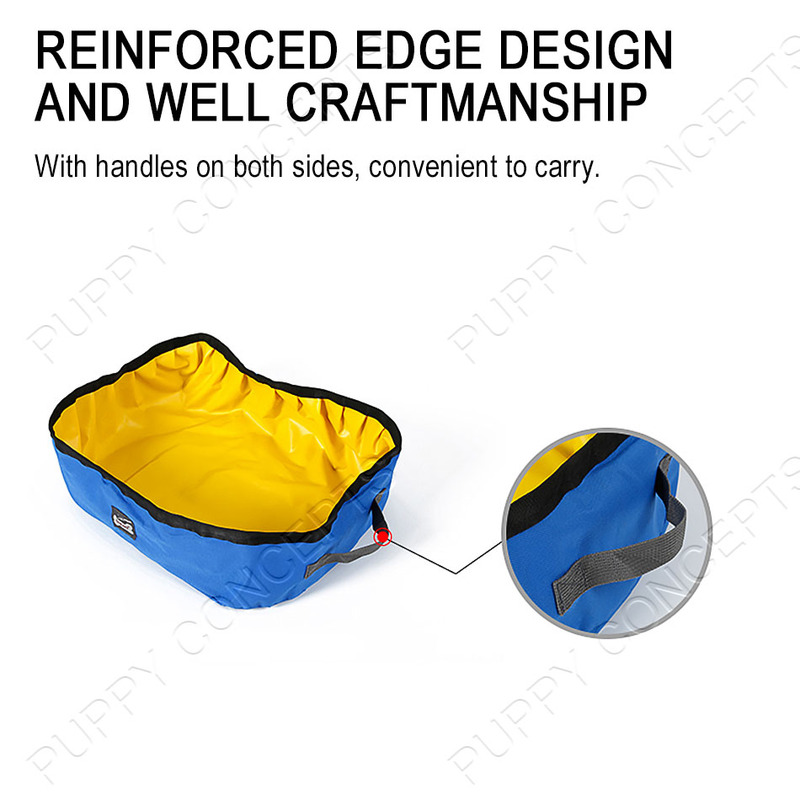 Lightweight and foldable design make it easy to fold up and unfold, easy to carry, perfect for travelling and camping, more convenient than traditional heavy cages. 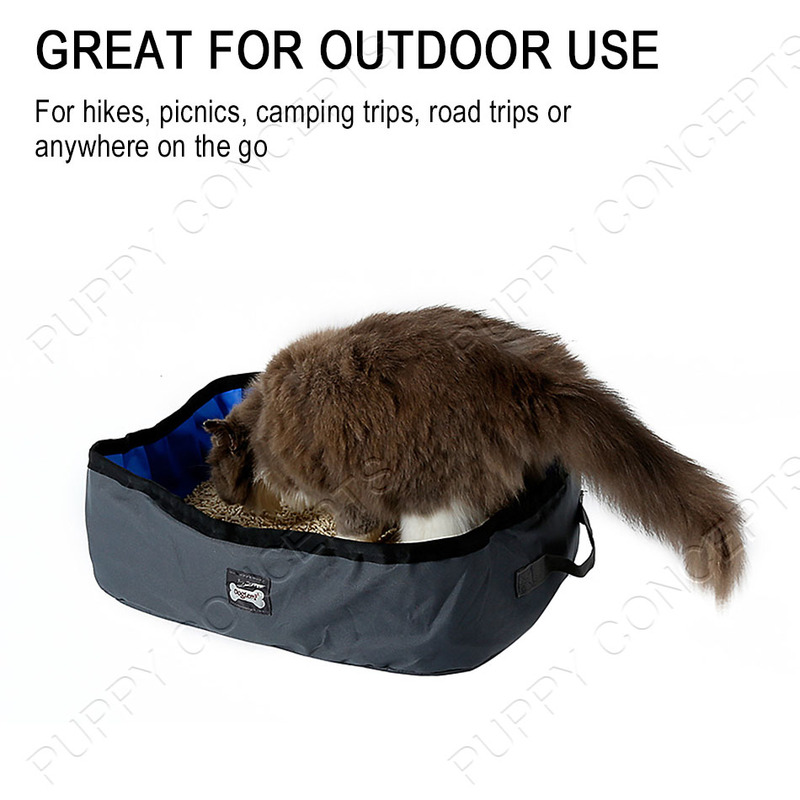 Ideally suitable for various occasions, like home use, outdoor use or in the car. 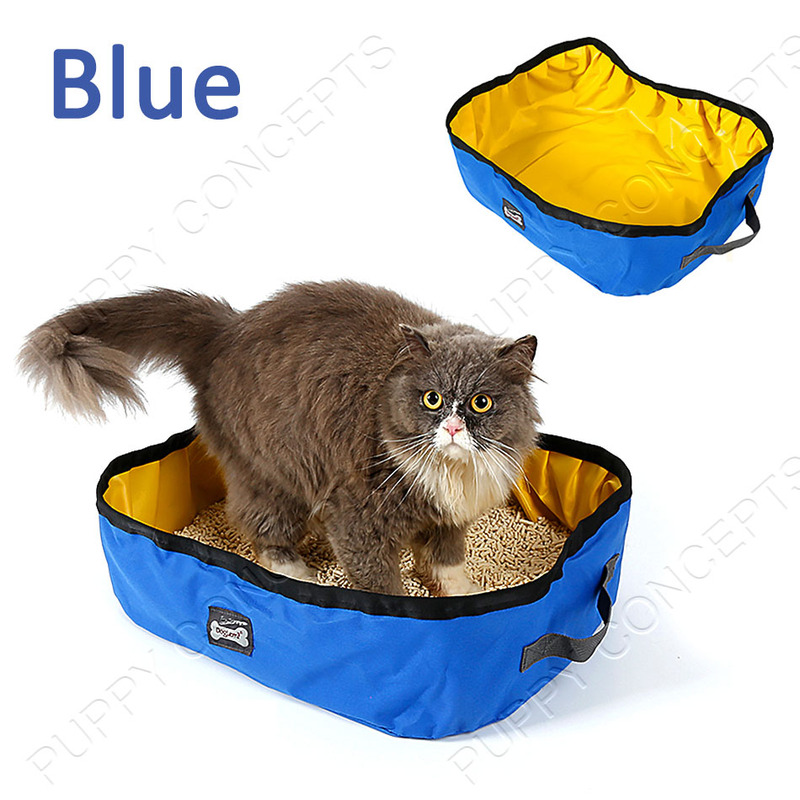 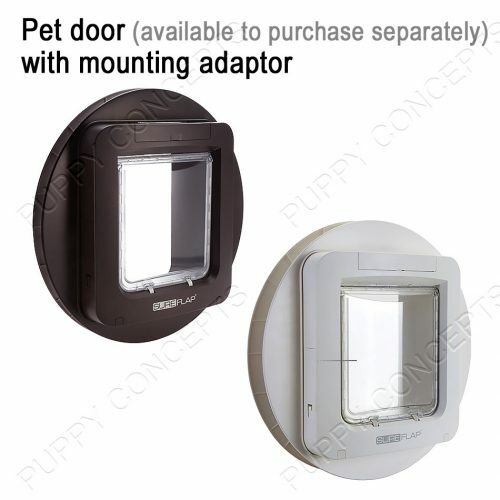 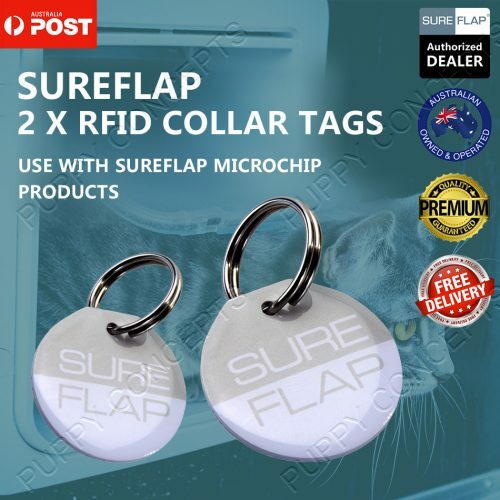 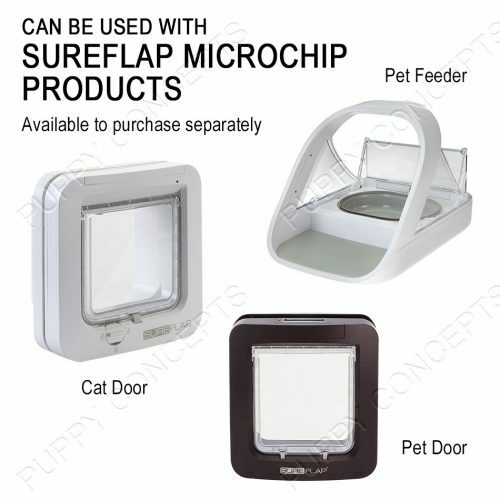 Soft material is comfortable for pets. 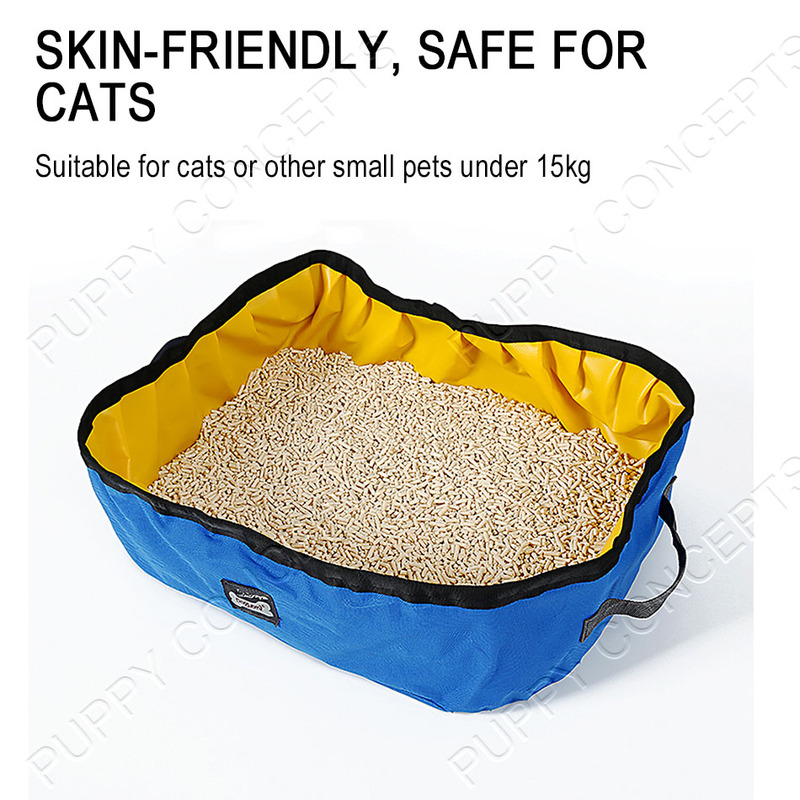 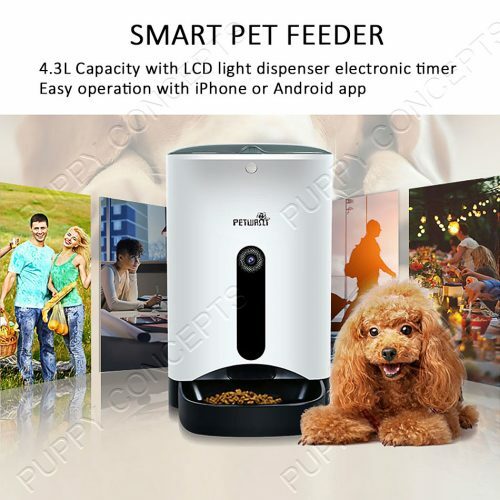 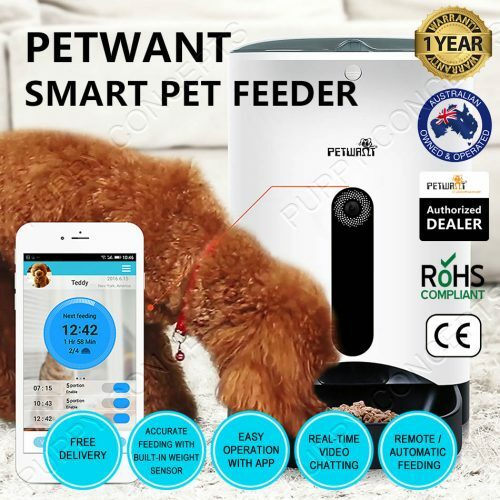 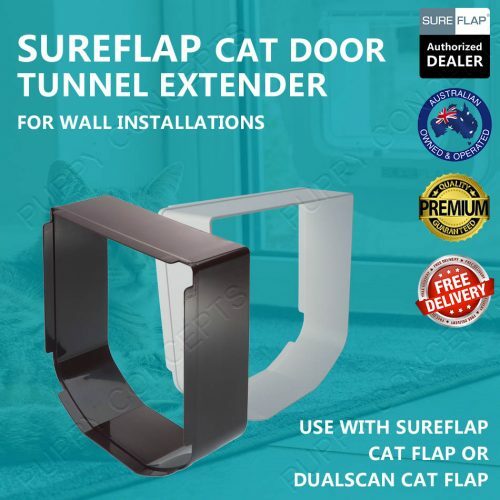 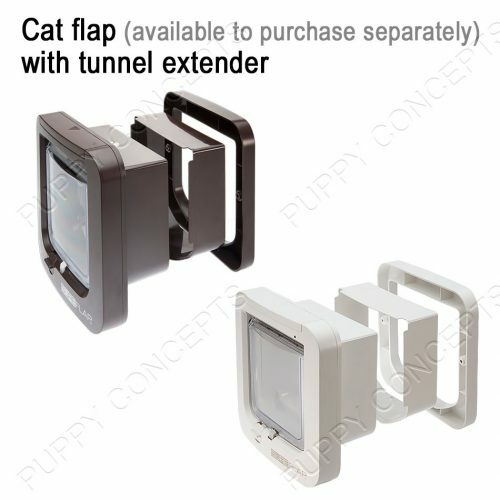 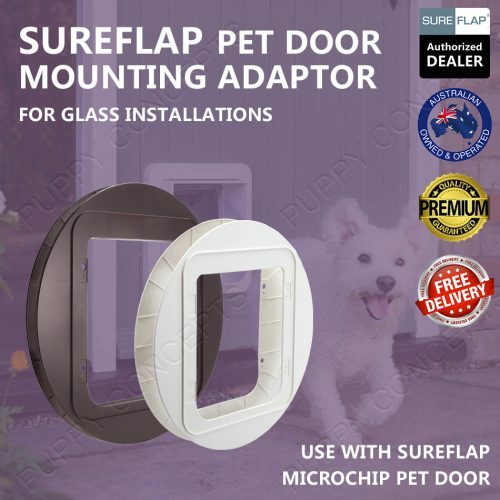 Suitable for cats or other small pets. 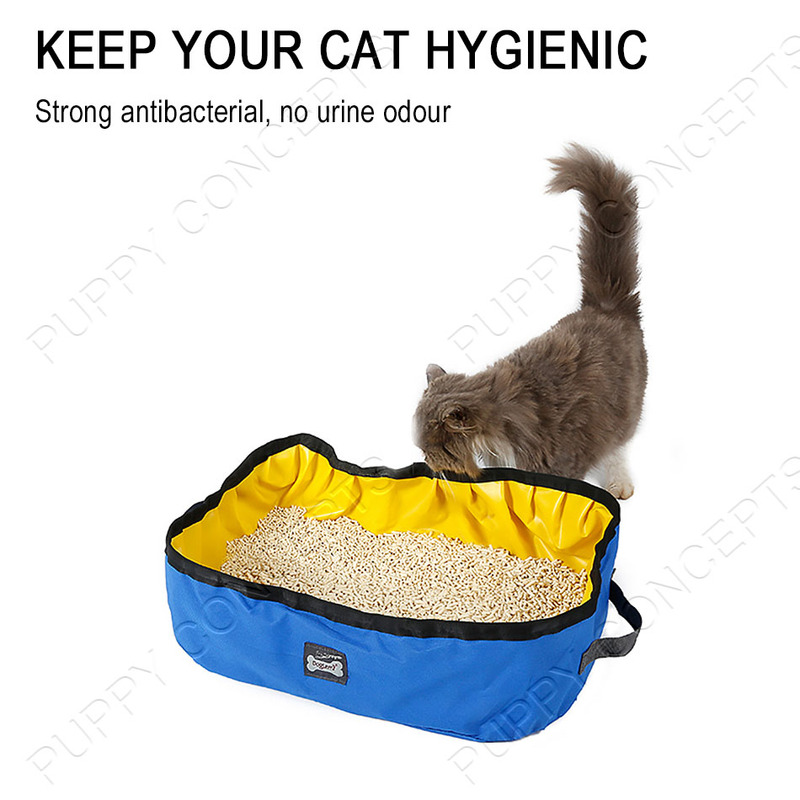 Help keep your cat hygienic and your house clean and safe. 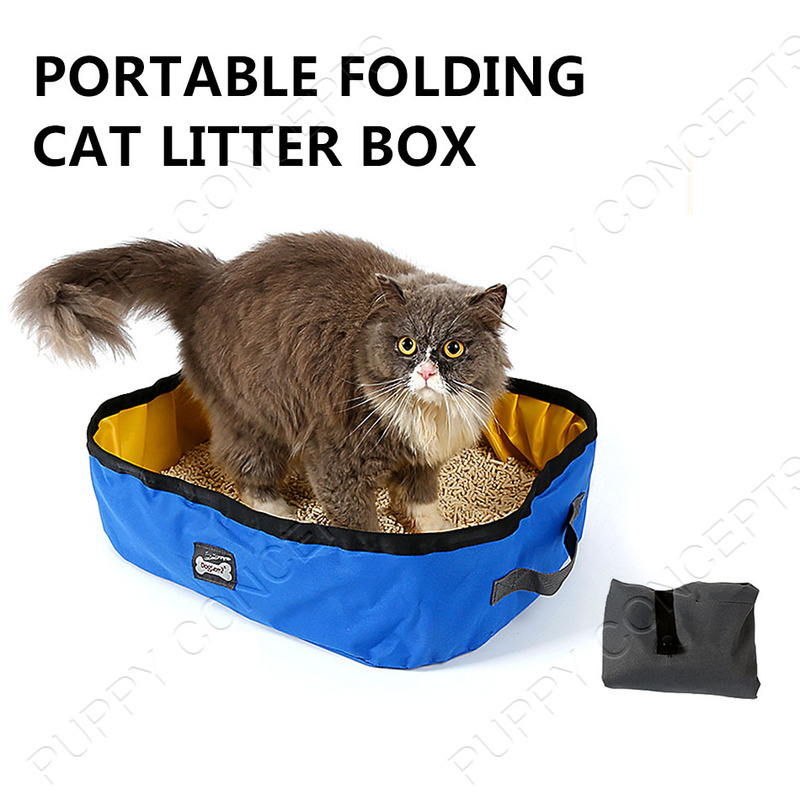 Suitable for all types of litter, to prevent crumbles and spills from leaking onto the floor. 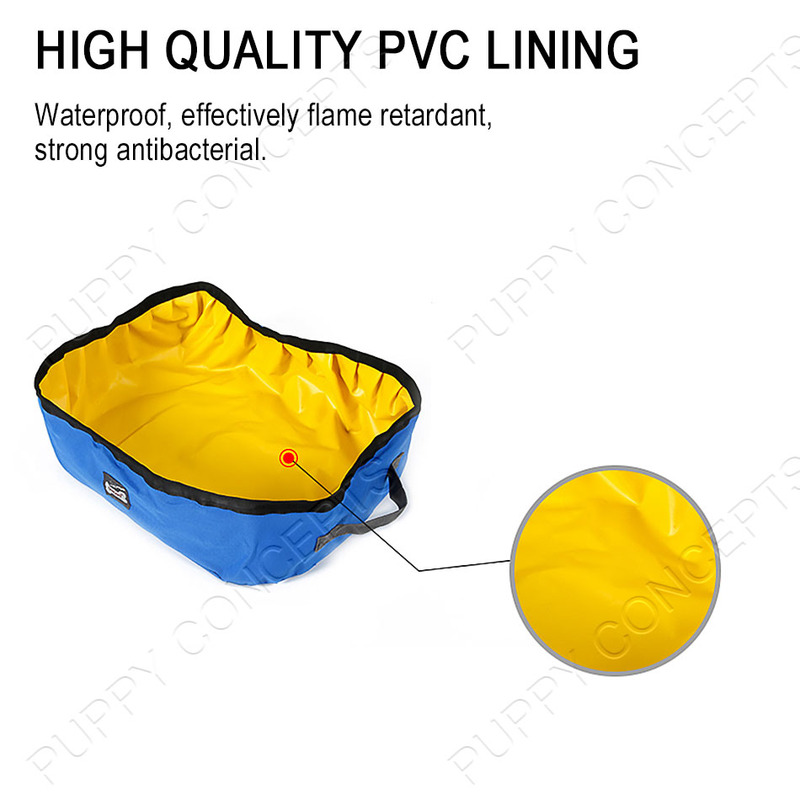 PVC strong fabric can effectively flame retardant. 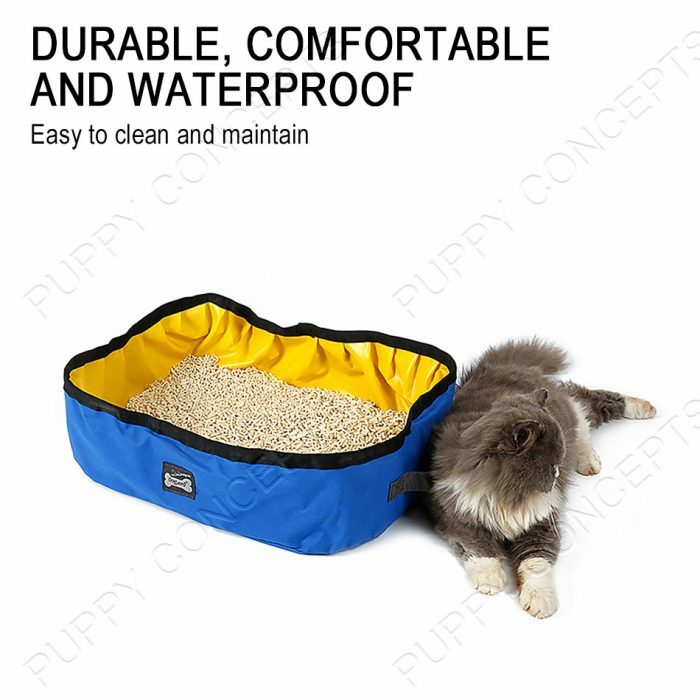 Resistant to dirt and easy to clean. 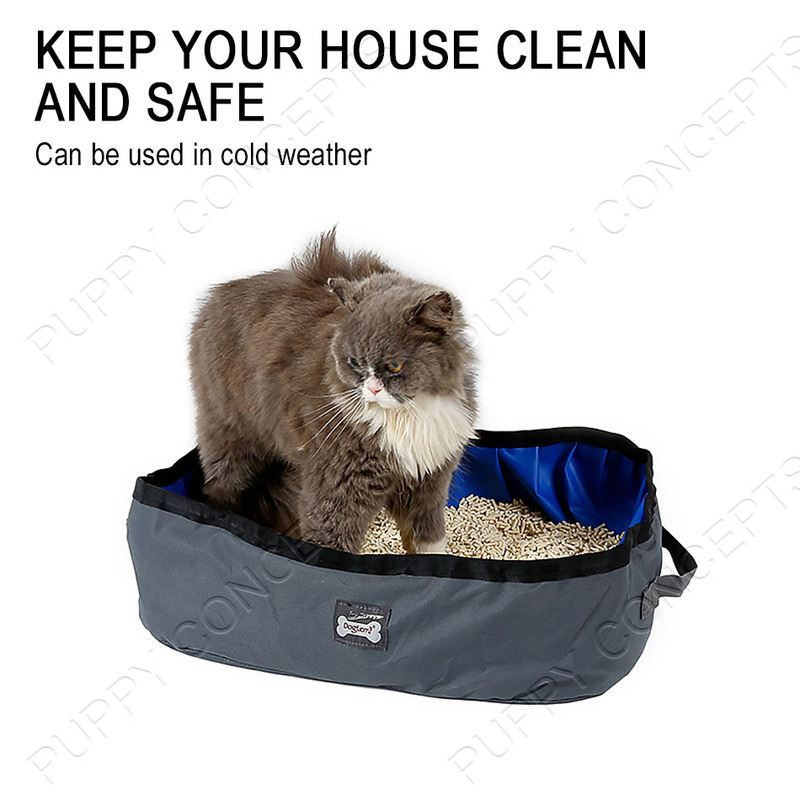 It can also be used in cold weather, strong antibacterial. 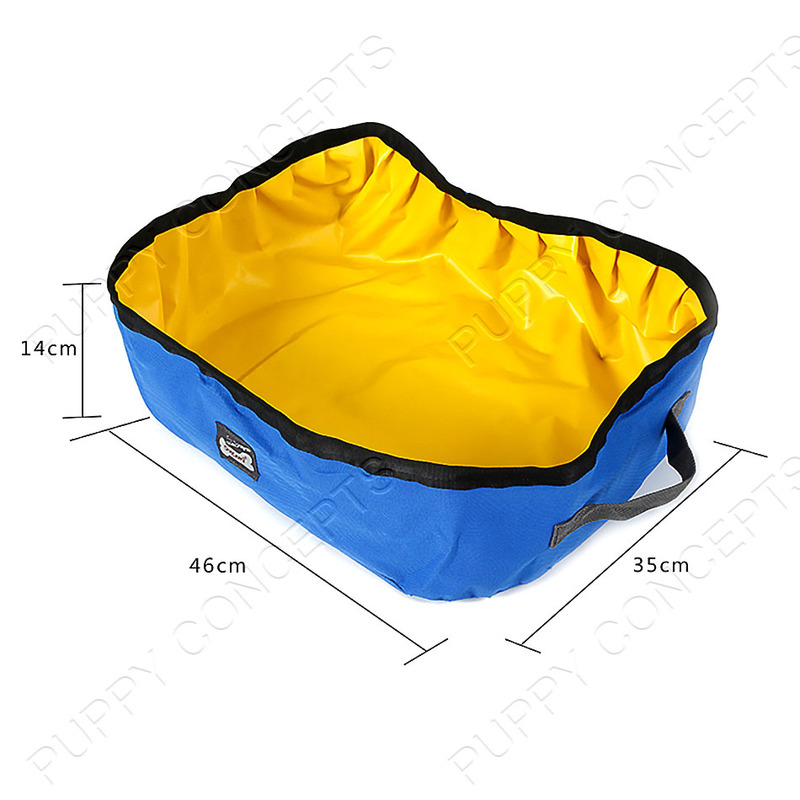 Made from high quality 600D Oxford fabric and PVC lining. Effectively flame retardant. Resistant to dirt and easy to clean. 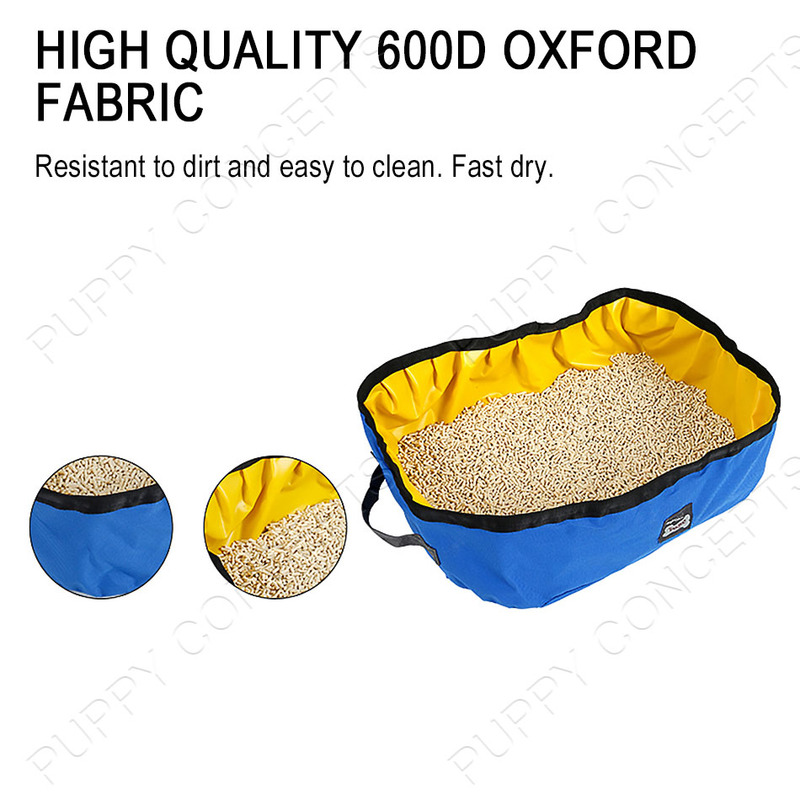 Fast dry.